Naval strategy battleship game, extension to the classic Battleship game where ships/planes/subs can move! Game contains missions, Death-Match and Free Hunt scenarios & campaigns from Pearl Harbor and Midway to the Iwo Jima and Leyte battle. 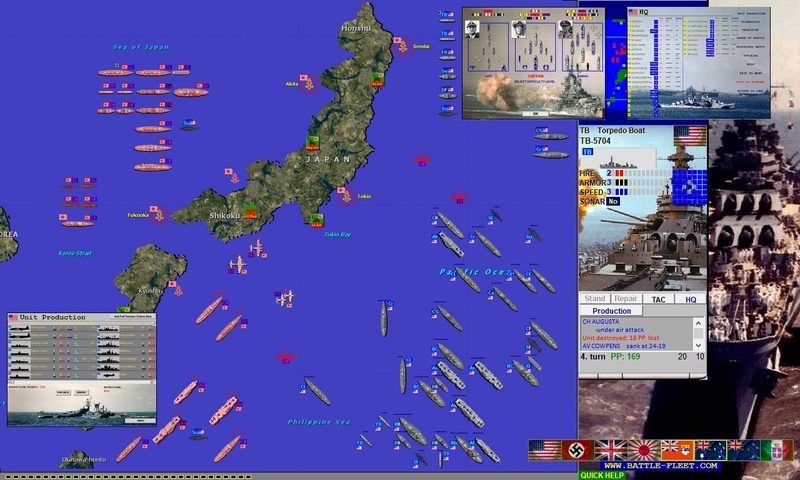 Naval strategy battleship game which covers all major battles on Pacific during WW2. Game contains missions, Death-Match and Free Hunt scenarios & campaign from Pearl Harbor and Midway to the Iwo Jima and Leyte battle. Scenarios include Hawaii Defence, Coral Sea, Okinawa, Brisbane Convoy, Fall of Australia, Conquer of Japan, Iwo Jima Transport, Imperial Ocean, Great Pacific War and many others. All unit names and officer ranks are historic. Player can purchase new ships/planes during the game. There are more then 50 unit types, including Fleet Aircraft Carrier, Heavy Anti-sub Cruiser, Heavy Bomber, Long Range Fighter, Long Range Naval Bomber, Fleet Cruiser, Heavy Fleet Destroyer, Fast Carrier and Heavy Fleet Submarine type. Game objectives: conquer enemy ports, defend friendly ports, destroy ships, eliminate all enemy units, secure transport convoy to the friendly port. This site does not contain serial number, crack, keygen Battlefleet: Pacific War serial number : serial number is the simplest type of crack. A serial number(cdkey,product key,etc) is register the program as you may already know. a crack or keygen may contain harmful software. If you cannot find the exact version you want, just give it a try. for more information read .nfo/.txt/.diz file include in zipped file.